Weight of Board: 21 oz. You can easily make your own neon signs with flashing lights and fluorescent colors to display any where you want. Perfect for presentations, supermarkets, restaurants, hair solons, clubs, and family parties. 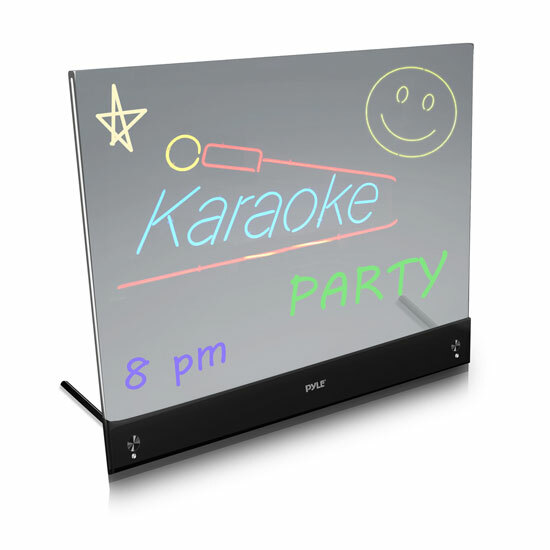 Just write your desired message or draw your favorite picture and light it up for the full LED neon affect. Comes with 8 different fluorescent colored markers white/orange/purple/pink/green/blue/yellow/red. Electronic control box with remote control allows you to wirelessly change the multi-colored lights and flashing patterns. Easy hanging chain and stand-up supporting foot pegs allow you to display your presentation anywhere.